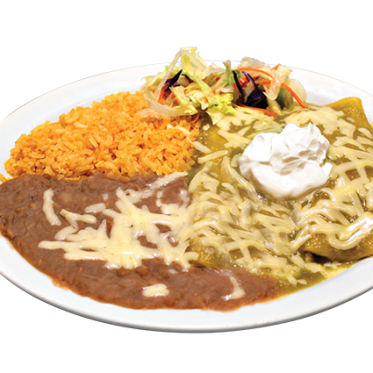 (Shredded beef, pork, chicken, al pastor, or carne asada) served with sour cream, rice and beans. ©2018 Javi's Fine Mexican Restaurant. All Rights Reserved.